In addition to making a purchase at one of our store locations, rifles may only be ordered through the mail. The CMP does not accept telephone, fax, or online orders for firearms. Ammunition, parts and other surplus items may be ordered by phone, fax, or online if CMP has proof of customer eligibility on file. If you have questions on what is required to order from the CMP, please visit our Eligibility Requirements web page. Orders for ammunition, parts, and other items should be prepared on CMP order forms and may be faxed to 256-831-8331. If orders prepared on other than CMP order forms, please make sure that fax includes payment information, mailing address, shipping address, and phone and fax numbers. Supporting documents may also be faxed. A reminder that many faxed copies of color documents arrive completely ‘black’ and cannot be read. Customers who have previously provided proof of eligibility may order ammunition, parts, and some other items by phone. If you prefer to order by phone, please call us at 256-835-8455 Monday-Friday between 9AM and 2PM CST. Credit card information required for telephone orders. In 2003 the CMP opened our E-STORE for online purchases of ammunition, parts, memorabilia, equipment and accessories, publications, and instructional materials. In addition to a shopping cart, the E-STORE also shows the customer account information and provides status on pending orders. Please Note: Shipping charge is free for orders over $100 on our E-STORE. Prices shown on this website are current and supercede all previously published prices, both on-line and in printed catalogs. Prices are subject to change without prior notice. We will notify customers of significant price changes before filling orders. We accept Cashier’s Checks, Money Orders, Visa, MasterCard, Discover, American Express, and personal checks. COD orders are not accepted. We deposit checks immediately upon receipt, even if the item is on backorder and it may take months before we make shipment. Credit cards are not charged until just prior to shipment of ordered items. The CMP prefers credit card payment and we can keep your credit card information on file. Ohio residents add 7% tax. Alabama residents add 4% tax. Anniston residents add 10% tax. For most items allow 30-45 days from order to delivery. 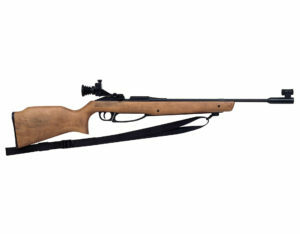 Some model rifles are relatively rare and will take longer. Estimated shipping times for those rifles are listed on the applicable rifle pages. To avoid delays, please ensure that all required documents are provided with order. Rifles are shipped FedEx overnight. Ammunition is shipped FedEx Ground. Most other items are shipped FedEx Express Saver. If you have a P.O. Box, please be sure to provide a valid street address on your order. Rifle and ammo shipments – adult signature required. If your State or locality requires you to first obtain a certificate, license, permit, or Firearms Owner ID card in order to possess or receive a rifle, you must enclose a photocopy of your certificate, license, permit, or card with the application for purchase. 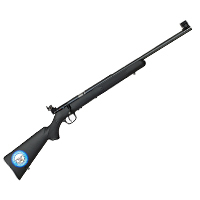 Residents of CA, CT, NJ, NY, OR and WA must have the rifles shipped to a state licensed dealer. You must provide a copy of the dealer’s license with your order form. Rifle shipments to CA must be made to a State licensed dealer or may be made to individual homes, providing that a CA Certificate of Eligibility and a Curio and Relic License are provided. Rifle shipments to CT must be made to licensed or dealer or may be shipped directly to the customer if a C&R license is provided. Customers who have already mailed their rifle orders to CMP should provide [email protected] with dealer information or order cancellation instructions. Information can also be faxed to 256-835-3527 or mailed to CMP Customer Service, (Attn: FFL Order), 1401 Commerce Blvd., Anniston, AL 36207. 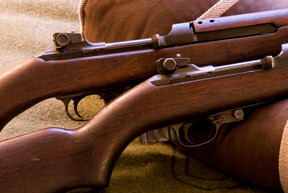 - Rifles: Free S&H - continental U.S., Alaska & Hawaii. Contact CMP for additional S&H for Puerto Rico. - Barreled Receivers: $14.95 for each barreled receiver ordered. - Barrels and Receivers: $9.95 for each barrel or receiver ordered. 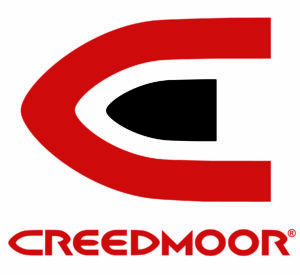 - Ammunition: All ammunition listed includes Free Shipping except customers in AK, HI and PR -- please contact CMP for current shipping prices. Please Note: Shipping charge is free for orders over $100 on our E-STORE. When merchandise received in a FedEx shipment is found to be damaged at the time of delivery, notify driver to initiate claim at that time and notify CMP of the claim number. Should damage be found after the driver has left, report damage to CMP South Customer Service at 256-835-8455. We will arrange for return of the material to us. Please hold original packaging to support any claims that may be filed. CMP will replace damaged material. Settlement payments are made to the CMP and not the consignee. CMP rifles are sold “AS IS” WITH NO WARRANTY EXPRESS OR IMPLIED. 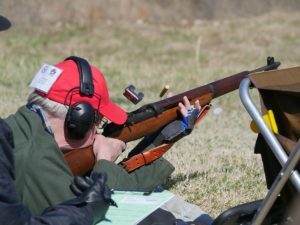 However, we do sometimes make mistakes and if there are any problems with the rifle or any other item, please contact us immediately at 256-835-8455. If the error was ours, we will have the item returned at our expense for replacement or refund. To help expedite processing of returns, we request that a letter of explanation be included, along with all original paperwork. In the summer of 2003, the CMP revised the purchase forms and streamlined procedures for repeat customers. 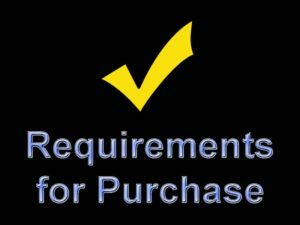 If you complete a new Universal Purchaser Certification and Agreement to buy a rifle from the CMP, signed before a Notary Public on or after July 1, 2003, you may for a period of three (3) years thereafter submit an application to purchase additional rifles, parts or ammunition without having the Purchaser Certification and Agreement notarized - provided that the “SHIP TO” address on the order form remains exactly the same. Although for repeat orders you will not have to have the forms notarized, hard copy liability/order/certification forms – pages 1A,2A,and 3A – must still be completed and sent to the CMP with original (wet) signatures. These orders may not be faxed or emailed. After three years a new notarized Universal Purchaser Certification and Agreement will be required for any additional rifle purchase. Any change of address on the order form automatically will require a new notarized Universal Purchaser Certification and Agreement. Please note that this streamlined procedure is available only to customers who have completed a notarized “Universal” Purchaser Certification and Agreement. An application submitted on an earlier form (dated before summer 2003 or not titled “Universal” will still be processed by CMP, but for that transaction only; it will not be accepted for repeat sales. Proof of citizenship, age, CMP-affiliated club membership and competitive shooting participation, and any copy of any license, permit, or Firearms Owner ID card required by your State or locality submitted with your initial “Universal” application will be kept on file by the CMP. If any item of proof above has expired, you must submit proof of current status with any subsequent application.